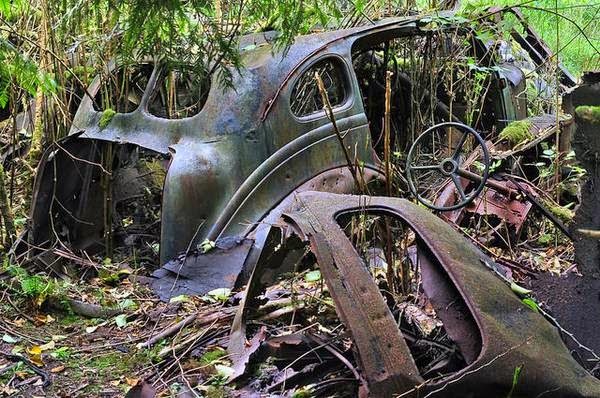 Can anyone tell me which Nanaimo park is the final resting place of this car? Can anyone tell what make, model and year it might be? Does anyone know how it came to rest where it now does? I believe this is the Nanaimo estuary park area behind the bold knight restuarant? If so, that area on the corner of haliburton street was the place where Nanaimo and chase river communities once dumped their household trash and other garbage.